In January I attended an amazing conference where about 60 people came together to share ideas on building cleaner, more efficient stoves. But the conference wasn’t just about stove design; it was also about how to incentivize them, how to monitor their use, and how to deploy the clean ones more widely. Speakers gave several presentations showing diagrams of optimal use of primary and secondary air. Most of the discussion was about the two streams of secondary air and exactly where and when to get them into combustion chamber. On one model, tests showed that it was critical to get the secondary air lower in the combustion chamber when the stove was operating on low so a separate channel carried it another inch down the stove wall. And, it was found that if this air was not preheated, the stove operated just as well – often better – than if it was preheated. One reason is that the air created more turbulence if it sank, rather than rising quickly along with the combustion gases. Another major topic discussed was how to get people to give up their old polluting stoves and invest in new, efficient ones. Some research showed that even when families understood how much wood they would save with a new stove, they were still very resistant to giving up their old one. And, if they did buy a new one, the old one was not always discarded, but used in another place. One of the most fascinating subjects concerned the use of wireless sensors that could remotely monitor the temperature of the stove so researchers could learn more about the operating habits of the owner. PM sensors could also show how the operating habits of owners impacted indoor air quality and measure the improvement compared to the old, more polluting stove. Outside the classroom, we lit the stoves to see how fast they would be free of visible smoke. The following day we tested the stoves with a dilution tunnel, not for any certification, but just to learn how testing was done, and to see how design changes impacted efficiency, CO, and PM emissions. Engineers freely shared their innovations with others, and with the government officials from the EPA and European agencies, who also attended. What distinguished this wood stove gathering from others I was familiar with is that the engineers and experts were all sharing their work and designs without first patenting their ideas. It wasn’t about selling anything, but about a community working together, including to help existing and potential manufacturers build cleaner stoves. Unfortunately for some of us, the conference was about international cook stoves, not domestic heat stoves. It made me painfully aware of how vibrant that community is in terms of sharing ideas and designs, and attracting so many different universities and small entrepreneurs. It was organized by a non-profit called ETHOS: “Engineers in Technical and Humanitarian Opportunities of Service”. The organization’s mandate is to facilitate research and development of appropriate technology by forming collaborative partnerships between universities, research laboratories, engineers, non-governmental organizations and the private sector. As I sat in the sessions, which were fascinating, I kept wondering why such a collaborative and urgent campaign had developed around international cook stoves and not domestic heating stoves. Part of the reason must be that the leadership and culture in humanitarian groups, which are publicly funded, compared to the private sector where companies are vying for market share. Several of the groups and companies had DOE funding for R & D.
One of main leaders of that group is Dean Still, Executive Director of the Oregon based Aprovecho Research Center, a world leader in open source stove technology development. Dean is a charismatic figure with seemingly boundless energy, the kind of person whom people rally around. He oversees a biomass stove research laboratory that conducts emission equipment manufacturing, and is the author or co-author of six books and dozens of technical reports and articles on clean stoves. 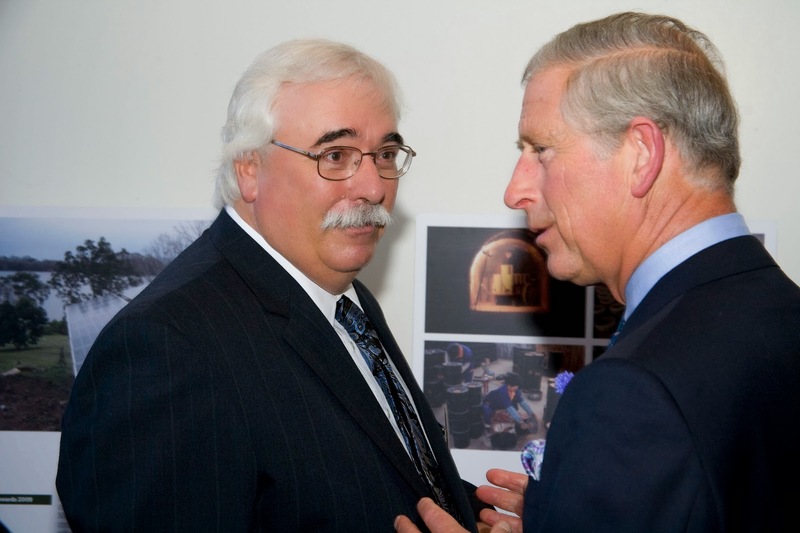 There has been some collaboration between Aprovecho and the domestic heat stove community over the years. 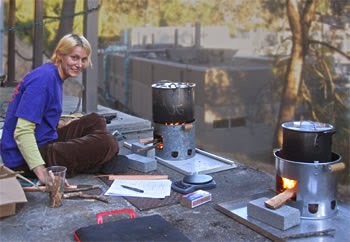 Dr. Larry Winiarski, a long-time Aprovecho figure, invented the rocket stove (http://en.wikipedia.org/wiki/Rocket_stove) and Aprovecho has worked on numerous rocket mass heating stove projects in China, Tibet, Nepal, the Andes, etc. Omni Test labs, an EPA accredited wood stove test lab, helped Aprovecho set up their dilution tunnel and emission testing system for cook stoves. After the conference, which was in Seattle, I drove down to Portland to visit Omni and Dirigo Test labs and discuss how the new EPA wood stove regulations would impact test labs. Then I kept driving south to Cottage Grove, Oregon where Aprovecho is based. I spent a few days with Dean Still and his dedicated team of engineers and test lab technicians (14 staff in all). Every summer they run a “stove camp,” which I had read about in the feature story, “Hearth Surgery,” in the New Yorker Magazine. Stove camp is a hands-on workshop where participants try to tweak stove designs and test them to see if they can improve efficiency and emissions. Dean and I got to talking about doing a Heat Stove Camp this summer, where up to 50 participants would bring innovative wood stoves to tweak and test. Normally at stove camp, applicants are selected based on their background and pay a minimal fee. Each morning, everyone reviews the test results, which are data logged from the previous day’s tests, and discusses what design elements work best. In the afternoon, participants can alter designs in the fully equipped metal shop, and then test them again. Dean and others think that their extended community can come up with designs that meet the 1.3 gram per hour mark without using a catalyst. They have extensive experience using combustion fans in stoves, which some think is one of the keys to ultra low emissions. One model that Aprovecho uses is to collectively design and test a stove, and then have a non-profit patent it so it can be open sourced, allowing anyone to build from it. If this could be done for a stove that hits the 1.3 grams that the EPA is proposing all stoves meet in coming years, it would be a natural extension of the Wood Stove Decathlon, and help lift all boats. When millions of mostly women and children die each year because of poorly designed cook stoves, it is no wonder that many care. And here in North America we still promote heating with wood when we have cleaner technology? People dont use wood in America to cook in open huts. We burn wood in high tech wood burning devices that burn at high efficiency and ultra low emissions as some stoves already operate in the 1.3 grams emissions range. Wood heat is a carbon neutral heat that takes the load off other power generation in the USA. Its an affordable heat and as stoves become more and more efficient less and less wood is needed each year to heat homes that use such devices. A win win situation. You got a love people who dont mind working to save on heating costs. Plus have you every sat by a wood stove when its minus 10 outside. Its a nice way to warm your bones.